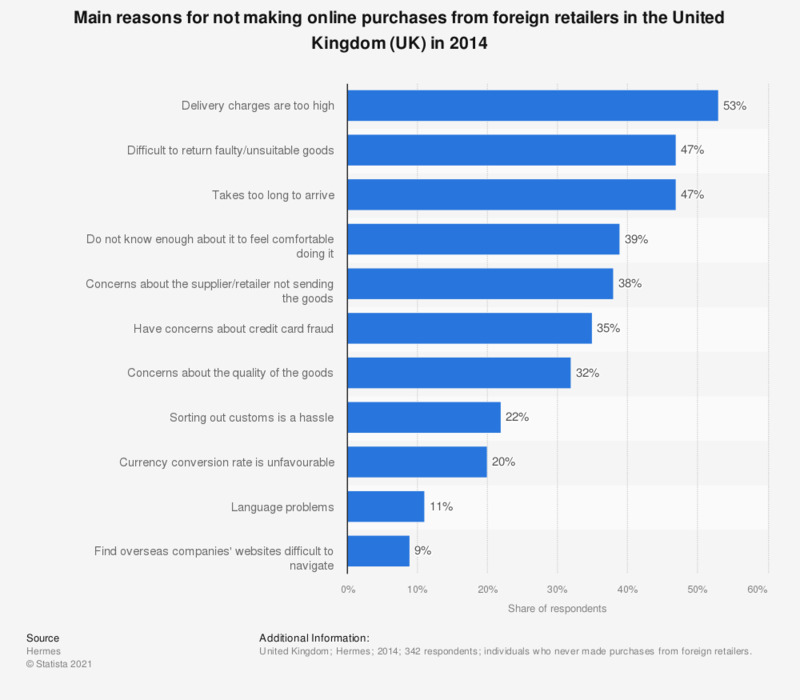 This statistic displays the main reasons for not making online purchases from foreign retailers in the United Kingdom (UK) in 2014. During the survey period, it was found that 11 percent of respondents cited a language problems as a reason for not making online purchases from foreign retailers. individuals who never made purchases from foreign retailers.